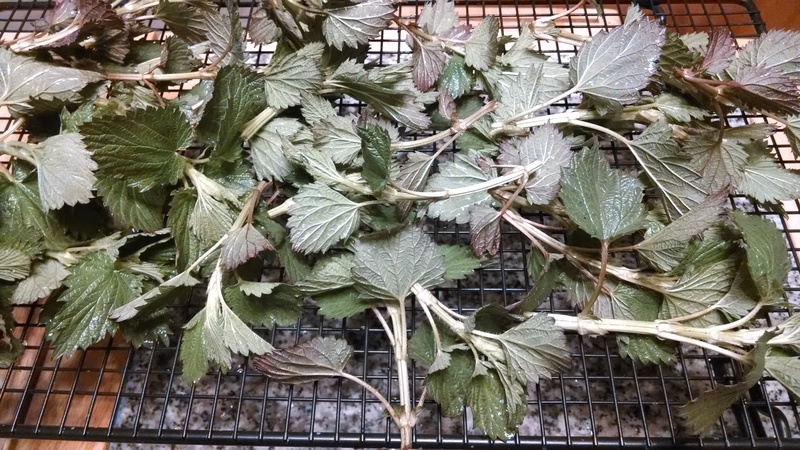 Pick nettles that are approximately 8″ tall, taking the top 6″. By mid summer, moist woodlands are thick with stinging nettles. Long pants and long sleeve cotton t-shirts are a must, to keep waist-high plants from assaulting skin with trichomes. 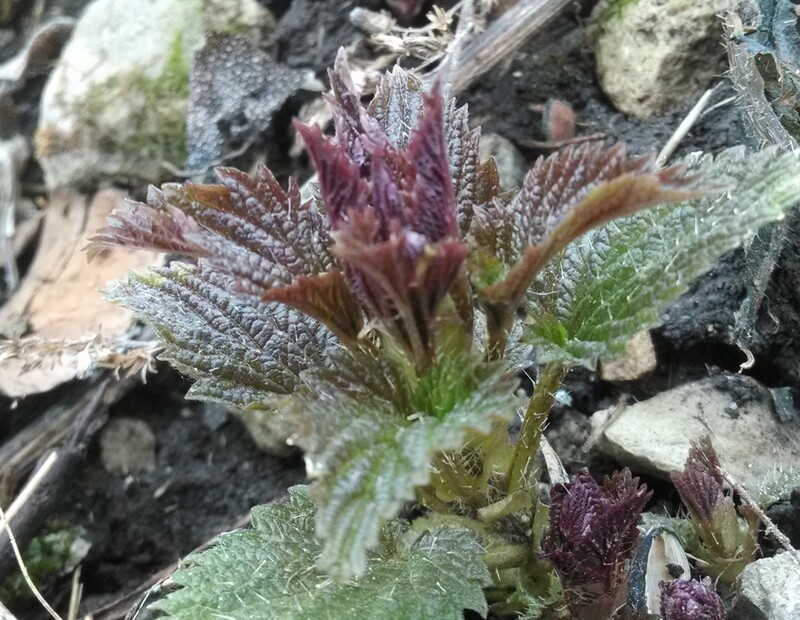 But right now, the stinging nettles are just beginning to emerge. Celebrate Earth Day by enjoying hunting for, gathering, and eating this delicious plant. The leaves are tender and full of iron, vitamin A and vitamin C. The tiny hairs are just beginning to produce trichomes, so they aren’t nearly as painful if you break them off into your skin. Grasp the plant gently at the base and break the stem cleanly off. It won’t hurt the plant. If you can’t seem to get the knack of it without getting stung, wear a pair of gardening gloves or use a pair of clippers. As the nettles are a ubiquitous invader throughout the woods, stick a paper sack in your pocket to collect them in. Once home, rinse them off and boil them for about five minutes. The boiling breaks down the toxins, making them safe to eat. Treat the leaves like spinach, adding a little bit of butter, salt, or lemon juice before serving. Dry the rest. The trichomes also break down as the plant dries. Add a teaspoon of dried nettle leaf to the teapot whenever you make a cup of tea, to take advantage of the nutrients in the plant long after the plants leaves are large and tough, and the trichomes are vigorous about defending it. This book is older than I am, but the information in it is still a great foundation for foraging for food in nature. Next > Chirping on Twitter as @pocketmousepub! When we walk in the woods today, we will look for stinging nettles! I’ll try the recipe! So far, I have just boiled them up as a free, organic, nutrient-packed spinach substitute or dried them for tea. I can’t wait to try something new with them, and will pick a fresh batch this afternoon. Thanks for sharing.